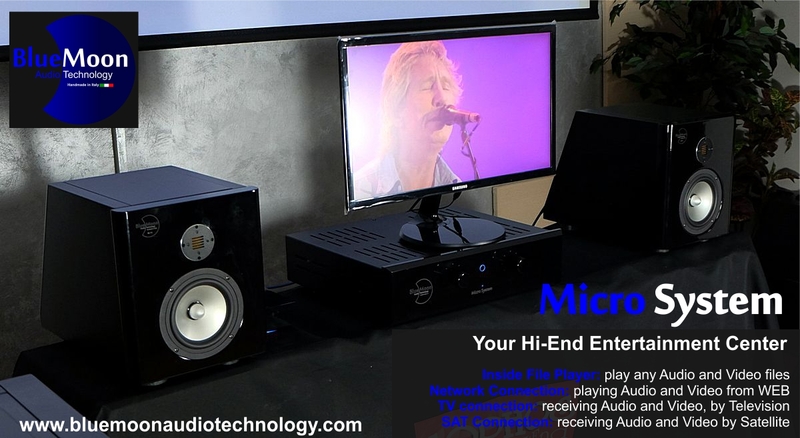 The Micro System is an “Media Center Entertainment” consisting in “Micro System Center” electronic heart of the system, and a pair of “ML 0.5” 2-way speakers. This “multimedia entertainment center,” binds together audio and home video, through a monitor or, better still, leaning on the home television. 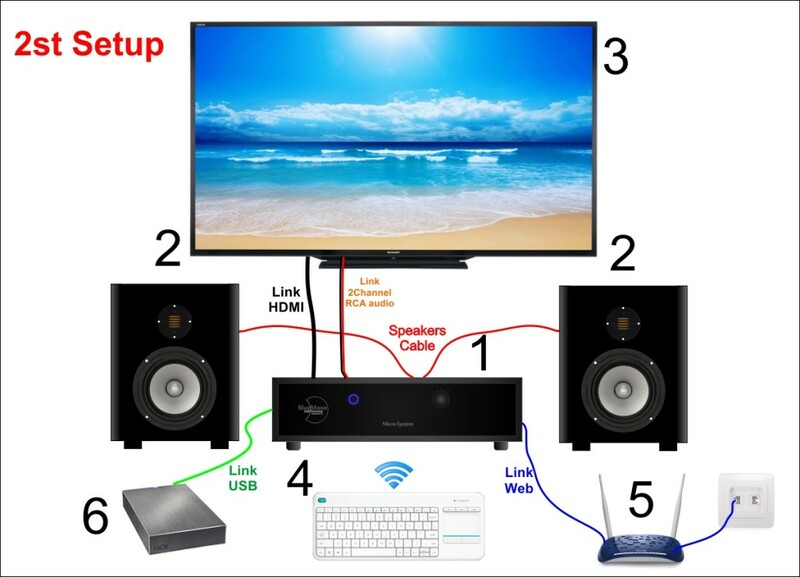 In this case not only it is capable of playing audio and video stored in Hard Disk, CD players, streaming from internet, but also all the programs that crossing your TV. We crossed a new frontier, which moves up, the domestic audio quality. Listen audio files, up to 24bit-192KHz resolution, stored on Hard Disk (USB link). See video files in low and hi resolution, stored on Hard Disk (USB link). Connect with Internet by the router and, with Kodi App, navigate on YouTube to watch videos, connect to streaming music (TIDAL or others). Listen audio files up to 24bit-192KHz resolution, stored on Hard Disk (USB link). Connect a large television rather than the monitor, and through the links 2 Channel RCA, listen audio TV by Micro System. 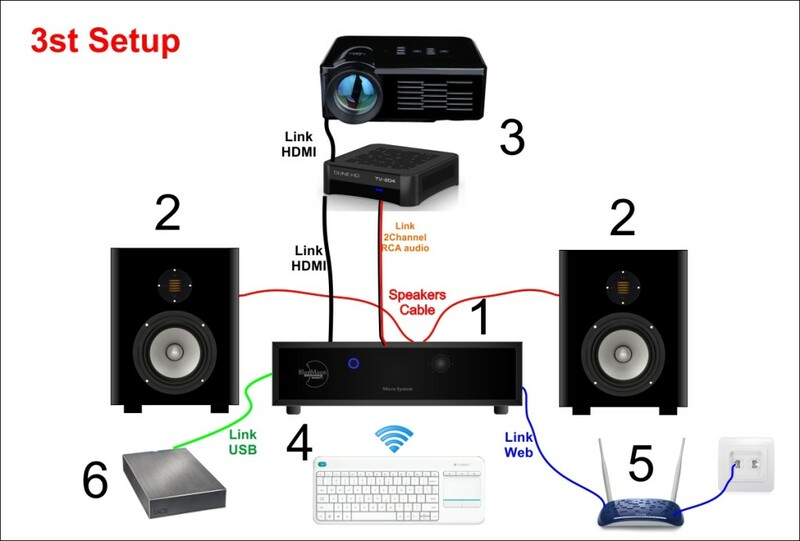 This arrangement allows the Micro System to become the center, in very high quality, of home system entertainment. 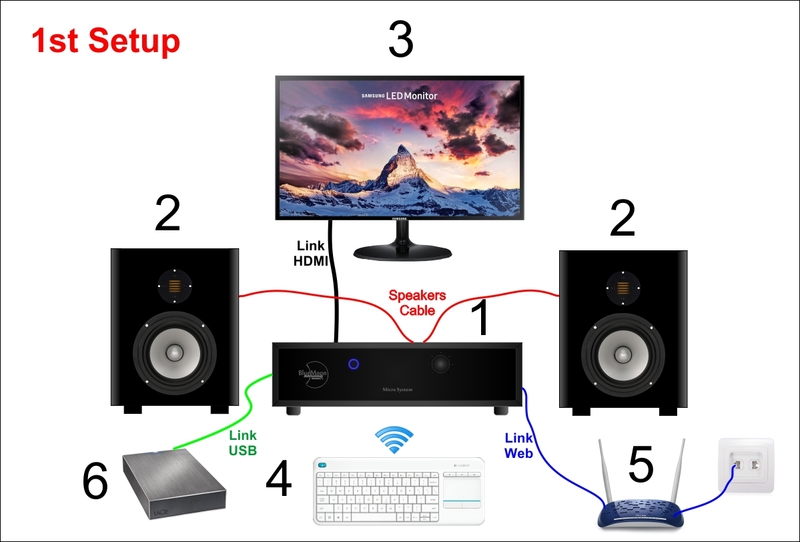 Connect to the External TV Tuner, and then to the projector, and through the links 2 Channel RCA, listen audio TV by Micro System. Even this arrangement allows the Micro System to become the center, in very high quality, of home system entertainment, but with the excitement and involvement by 3 meters video screen.